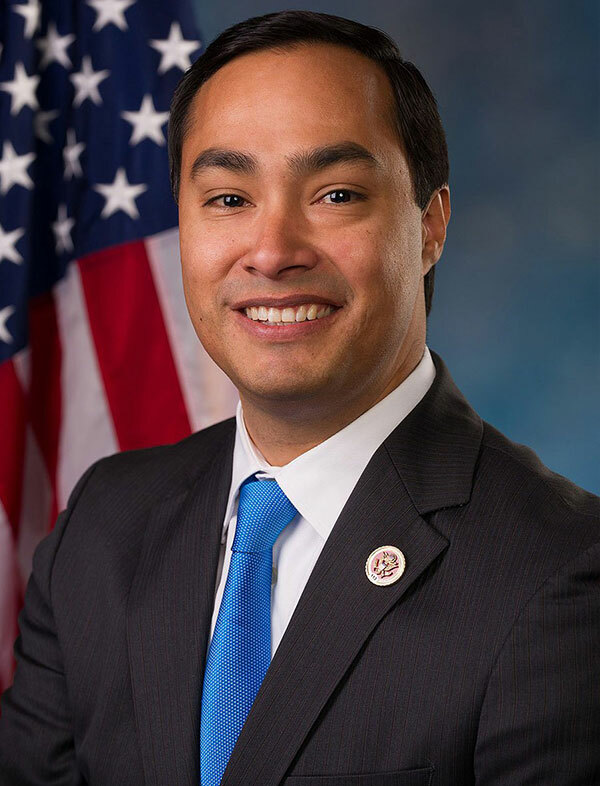 Rep. Joaquin Castro represents Texas’ 20th Congressional District and serves on both the House Permanent Select Committee on Intelligence and the House Foreign Affairs Committee. First elected to Congress in 2012, Castro was the 2013 co-president for the House freshman Democrats and now serves in House Democratic Leadership as Chief Deputy Whip and a member of the Democratic Steering and Policy Committee. Castro is also a founding co-chair of the Congressional Pre-K Caucus, the U.S.-Japan Caucus, and the Congressional Caucus on ASEAN. He has been called “a rising star in his party” by The Texas Tribune and one of the top 50 politicos to watch by POLITICO. 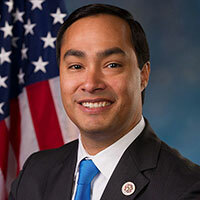 Castro, who hails from San Antonio, graduated from Stanford University in 1996 and from Harvard Law School in 2000. At the age of 28, Castro was elected to the Texas Legislature. While a state representative, Castro created the Trailblazers College Tour, personally raising money to send underprivileged students on college visits, exposing them to some of the nation’s best institutions of higher education. He also founded SA READS, San Antonio’s largest literacy campaign and book drive. Over 200,000 books have been distributed to more than 150 schools and shelters across the city. To honor and express gratitude to San Antonio grandparents and other family members raising relatives who aren’t their children, Castro created the annual Families Helping Families dinner and awards. During his time in Congress, Castro has sought to build out what he calls “The Infrastructure of Opportunity” – good public schools, great universities, and a sound healthcare system – to enable his fellow citizens to pursue the American Dream.